The Craft Corner is made up of caring, compassionate women who use their talents for the Lord. Their skills in the art of sewing, crocheting and knitting items for many charitable causes help to bless others in need. 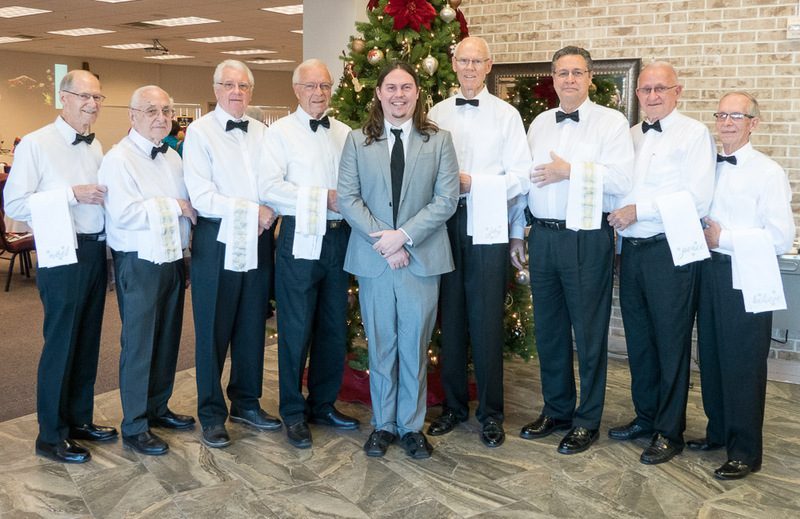 In addition, our wonderful group of ladies who give of their time to serve the Lord in this ministry are blessed as well. 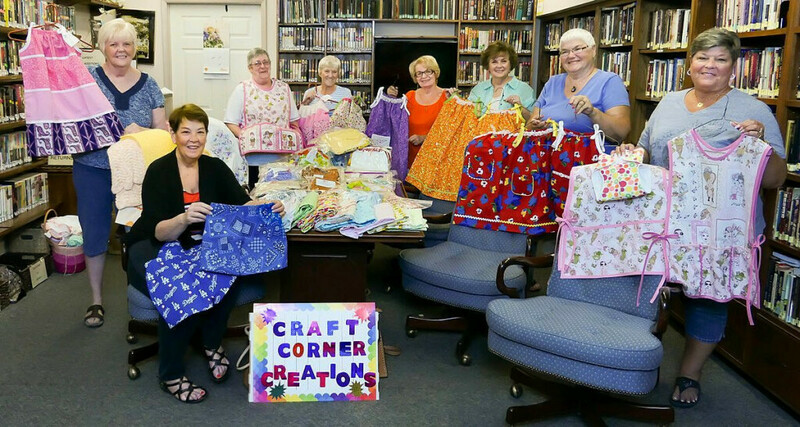 The Craft Corner is a great fellowship of friends and members of the church who enjoy being together to share new crafting ideas and to learn as they serve the community through using their crafting skills. Salvation Hats for the Jesus Film Project. These hats are used to present the Gospel in areas that are difficult to reach in any other way due to language barriers. Cancer Hats for the children at Phoenix Children’s Hospital and those cancer patients staying with their families at the Ronald McDonald Houses. This is a fun project in which we make Disney hats of unique characters for the children who are undergoing chemotherapy treatments. Hats and scarves, made in the school colors, for the students at the Native American Christian Academy. Real Hope for Haiti is a Christian ministry that supplies medical help and housing for needy families in Haiti. The Craft Corner makes pillowcase dresses, shorts and other children's items for this ministry. Baby items such as booties, blankets and clothing for babies at The Choices Pregnancy Center of Peoria, AZ. These items are presented to new moms providing a bonding tool during the pregnancy process. Hats for the homeless of Phoenix are donated to the Valley View Community Food Bank for distribution to the needy. The Craft Corner meets at the Sun City Church of the Nazarene , 14636 N. Del Webb Blvd., every 1st and 3rd Monday of the month from 1 to 3 p.m. in room #1. 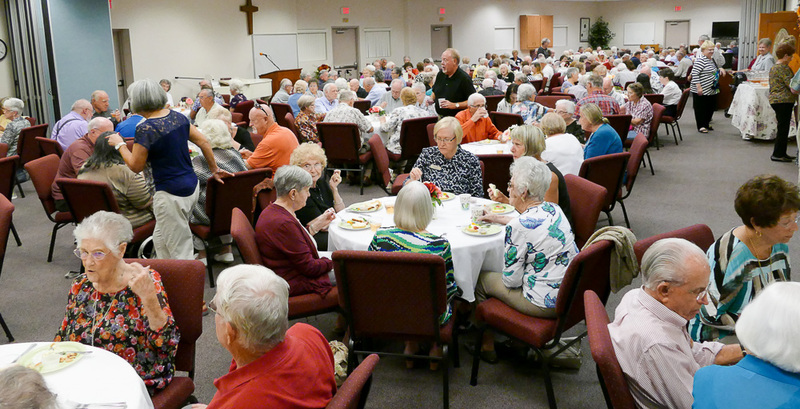 It is a great time of meeting new friends, learning new skills, and enjoying a wonderful time of fellowship together. For more information, please call Linda Hayne, Craft Director, at 623-583-6449.